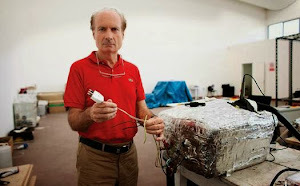 In mid-April the 19th International Conference on Cold Fusion (ICCF-19) took place in Padua, Italy and was attended by some 470 scientists, cold fusion bloggers, entrepreneurs, and the merely interested. The first of these conferences was held back in 1990 in the wake of the University of Utah announcement that two of its chemists had discovered a new way to release energy from the atom. The 1990 conference, however, was resoundingly ridiculed by the American Physical Association and was said to be nothing but a gathering for crackpots, pseudo-scientists, and fraudsters. However, over the decades, the conferees continued to gather in cities around the world, with some 100-300 usually in attendance. Many of those who came to the conferences were scientists who had been able to reproduce the “anomalous heat” that the University of Utah researchers had observed prior to their announcement in 1989. Most of the presentations were way down in the scientific weeds and were comprehensible only to those with considerable knowledge of particle physics, so the conferences drew little attention.